Louise Talma – American pianist, composer and academic. An American pianist, composer and academic, who created more than 40 major works in her lifetime, Louise Talma was born on October 31, 1906, in Arcachon, France, a resort town near Bordeaux. She progressed from a neo-Classical to a more radical serial style and beyond and went from a rigorous traditional education to making significant “firsts” as a female composer. Talma wrote many vocal pieces, including song cycles and the first American opera by a woman to be staged at a major European opera house. In all, Talma composed more than 40 significant works in her lifetime. Additionally, she became the first American to teach at the prestigious Fontainebleau School and was a faculty member at New York City’s Hunter College for over a half-century. Her opera The Alcestiad was the first full-scale opera by an American woman staged in Europe. Talma was the first women in the National Institute of Arts and Letters and being awarded the Sibelius Medal for Composition. Louise Talma, in full Louise Juliette Talma, was born on October 31, 1906, in Arcachon, France, a resort town near Bordeaux, the daughter of two American professional musicians. Raised in New York City, Talma studied theory and composition at the Institute of Musical Arts between 1922 – 1930 and received her bachelor of music degree from New York University and masters of arts degree from Columbia University. At the American Conservatory in Fontainebleau, France, she studied piano with Isidor Philipp and had rigorous training in composition with Nadia Boulanger every summer from 1926 to 1939. Talma taught at Hunter College of the City University of New York. Talma taught at Hunter College for over 50 years, finally leaving the institution in 1979. Additionally, she became the first American to teach at the Fontainebleau School, where she herself had studied under Philipp and Boulanger. During the late 1920s, Talma was recognized for her skills in piano playing and in composition by the Institute of Musical Art, the Fontainebleau School of Music, and the National Federation of Music Clubs. Louise Talma never married and left no surviving relatives. Louise Talma began composing in a spare neoclassical tonal style featuring static harmonies, short distinct melodies in counterpoint, ostinatos, and pedal points varied through mode, tempo, rhythm, meter, and articulation. Also featured were rhythmic units varied through imitation, augmentation, and diminution. By 1935 Boulanger had convinced Louise Talma to focus exclusively on composition, and Talma’s career truly took shape. In a later article, Talma told the New York Times: “It took some time before I knew I was a composer…. I thought all the composers were dead. Composers were people you found in a book, who had written all this wonderful music that you heard at concerts. I knew from a very early age that I wanted to compose, but the idea that there were actually people out there now, in the flesh, actively writing music, did not occur to me for quite some time.” While studying in New York City and Paris, Talma composed in a spare, neo-Classical style that became her signature; Grove Music noted that Talma’s “whole output is marked by clarity of line, gesture and proportion.” This style came from Talma’s studies with Boulanger, particularly centering on the works of Stravinsky. Talma’s compositions of this time were in her spare neo-Classical style that often employed static harmonies and short, distinct melodies in counterpoint. They varied through devices such as mode, tempo, rhythm, metric, accentuation change, imitation, augmentation, and diminution of rhythmic units; ostinatos and pedal points in such works as Song of the Songless (1928), Three Madrigals (1928) for women’s voices and string quartet, Two Dances (1934) for piano, and the sacred work for mixed chorus and organ In principio erat verbum (1939). This composition won the Stovall Prize at the Fontainebleau School in both 1938 and 1939. Beginning in the early 1940s Talma visited the MacDowell Colony, an artists’ retreat in Peterborough, New Hampshire. There she met and was greatly influenced by composers of the Boston school, including Lukas Foss, Irving Fine, Harold Shapero, Claudio Spies, Arthur Berger, and Alexie Haieff. Talma composed most of her pieces while staying at the MacDowell Colony. 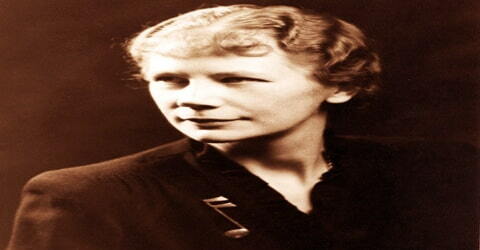 In 1943 Talma won the North American Prize for her Piano Sonata No. 1. 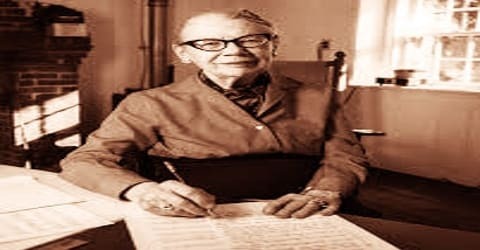 She composed several other pieces in the mid-1940s, including Toccata for Orchestra, which later won the Juilliard Publication Award and became one of Talma’s best-known compositions. These works show the range of Talma’s style, incorporating distinctly American sounds such as jazz into her compositions. Talma began using the twelve-tone technique in 1954 after hearing Irving Fine’s String Quartet and returned to a neo-tonal style in her last works of the 1980s and 1990s. She wrote most of her compositions at the MacDowell Colony where she also met composers of the “Boston school”, Arthur Berger, Lukas Foss, Irving Fine, Alexei Haieff, Harold Shapero, and Claudio Spies. She provided a bequest for one million dollars for the MacDowell Colony in her will. She died at the Yaddo artists` colony. Her works include Song of the Songless (1928), Three Madrigals (1928), Two Dances (1934), In principio erat verbum (1939), Six Etudes (1954), The Alcestiad (1955-1958) an opera with a libretto by Thornton Wilder, Full Circle (1985), Spacings (1994), and A Time to Remember (1966-1967) based on speeches of John F. Kennedy. In 1951 Talma was recognized by the French government with the Prix d’Excellence de Composition (Prize for Excellence in Composition). The following year she became a full professor at Hunter College. From the early 1950s on, Talma began experimenting with a form of tonality known as twelve-tone, which rejected the traditional major/minor settings of most music. Her first work to draw on the twelve-tone style was Six Etudes for Piano (1953-54). This was a fruitful period for Talma. She composed many works, progressively exhibiting a more mature, fuller style incorporating the twelve-tone style with her clear, often linear style. Among the pieces, she composed in the 1950s was an opera, The Alcestiad. Written partially with the proceeds from a Senior Fulbright Research Grant which the composer used to work in Rome, the opera featured a libretto written by respected playwright and novelist Thornton Wilder; the story of the opera was adapted from his play Life in the Sun. Talma had met Wider at the MacDowell Colony in 1952, and he later asked her to compose a score with his play in mind. In her opera The Alcestiad (1955-1958) with text by Thornton Wilder, she combined her previous tonality with the new serial procedures. The opera contains widely contrasting moods attained mainly through harmonic coloration. Yet her general approach still remains elegant and restrained in emotion. In her last works, for example- Full Circle (1985) for orchestra, Spacings (1994) for viola and piano, A Time to Remember (1966-1967) for mixed choir and orchestra based on speeches of John F. Kennedy – she abandoned serialism to achieve a new kind of tonality. Throughout the 1960s Talma further developed the style she had moved into during the preceding decade. With A Time to Remember (1966-67), a piece for choir and orchestra incorporating the speeches of recently assassinated President John F. Kennedy, she moved away from the repetitive serialism typically associated with twelve-tone tonality, creating a unique tonal voice. She continued to receive numerous awards for her composition skills, including three in 1963 alone: a National Federation of Music Clubs Award, a National Association for American Composers and Conductors Award, and the Sibelius Medal for Composition at the Harriet Cohen International Awards in London. Talma’s career included not only composition but pedagogy. She published two textbooks, drawing on her experiences both as a composer and as a teacher: in 1966, Harmony for the College Student, and in 1970, with James S. Harrison and Robert Levin, Functional Harmony. Talma was the first woman to receive two Guggenheim Fellowships, to be elected to the National Institute of Arts and Letters (1974), and to receive the Sibelius Medal for Composition from the Harriet Cohen International Music Awards in London (1963). She was also the first American woman to have a full-scale opera performed in Europe, Die Alkestiade by the Frankfurt Opera. She was also the first American to teach at Fontainebleau. Talma continued to teach at Hunter College until mandatory retirement in 1976 and then remained as a professor emerita until 1979. During the summer of 1978, Talma returned to the Fontainebleau School as an instructor. There, she taught solfege a way of reading the musical scale analysis, and harmony, becoming the first American woman to serve as an instructor at the school. She returned to teach during the summers of 1981 and 1982. Louise Talma composed several works in the 1970s, including several inspired by nature. In addition to Summer Sounds, a chamber piece, she wrote Rain Song and Thirteen Ways of Looking at a Blackbird. Talma also was known for her pieces reflecting Biblical themes, such as the 1978 work Psalm 84. She returned to the theme of nature in the chamber piece Ambient Air, written between 1980 and 1983. In the 1980s and 1990s, Talma wrote many Biblical and devotional pieces, including A Wreath of Blessings (1985) and Ave Atque Vale (1989), a setting of the text of Psalm 115 (1992). Throughout her life, Talma was active in professional outreach. She served on the boards of trustees of the Edwin MacDowell Association, the League of Composers, and the International Society for Contemporary Music, the American Music Center, and the Fontainebleau Fine Arts and Music Association. Talma was also a charter member of the American School of University Composers and a fellow of the American Guild of Organists. In 1946 and 1947 Louise Talma was awarded two Guggenheim fellowships, making her the first woman to receive that honor. Talma was the first woman to receive the Sibelius Medal for composition from the Harriet Cohen International Awards in London (1963). Talma became the first female composer elected to the American Institute of Arts and Letters in 1974. Louise Talma died on August 13, 1996, at the Yaddo artists’ colony near Saratoga Springs, New York. At the time of her death, she was working on a song cycle. She is buried in Hawthorne, New York, at the Gate of Heaven Cemetery. 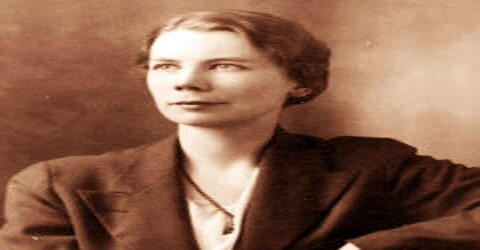 However, her compositions have made her one of the United States’ foremost composers of the twentieth century. 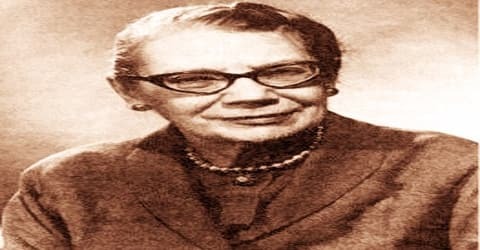 She is particularly remembered for her contributions to the neoclassical style and her innovative work with the twelve-tone structure during the majority of her career; Talma is also noted for her piano pieces, her vocal settings of sacred and secular texts, and her influence as an educator and music professional. A full-length study of Talma’s music by musicologist Kendra Preston Leonard, Louise Talma: A Life in Composition, was published in 2014.